Sony BMG Masterworks proudly announces the upcoming release of the New Broadway Cast Recording of Rodgers & Hammerstein's SOUTH PACIFIC. The CD will be available nationwide on May 27, 2008. This much-anticipated Lincoln Center Theater production of this treasured American musical directed by Bartlett Sherhad its Official Opening at the Vivian Beaumont Theater (150 West 65th Street) on Thursday, April 3, 2008. Produced by David Caddick and David Lai, the CD was recorded on Monday, April 14 at New Yorks Legacy Recording Studios. 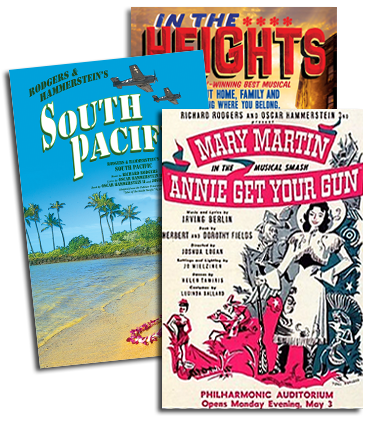 SOUTH PACIFIC premiered at Broadway's Majestic Theatre on April 7, 1949, and enjoyed a five-year run winning countless awards including nine Tony Awards (among them, Best Musical) and the Pulitzer Prize for Drama. Considered by many to be the finest musical ever written, the score includes such classics as "Some Enchanted Evening," "Younger Than Springtime," "Bali Ha'i," "There Is Nothin' Like A Dame" and "A Wonderful Guy." SOUTH PACIFIC features a cast of 40 headed by Kelli OHara as Nellie Forbush and Paulo Szot as Emile de Becque, with Matthew Morrison (Lt. Joe Cable), Danny Burstein (Luther Billis), Loretta Ables Sayre (Bloody Mary), Sean Cullen, Victor Hawks, Luka Kain, Lu Jun Li (Liat), Laurissa Romain, Skipp Sudduth, Noah Weisberg, Becca Ayers, Wendi Bergamini, Genson Blimline, Grady McLeod Bowman, Charlie Brady, Matt Caplan, Christian Carter, Helmar Augustus Cooper, Jeremy Davis, Margot de la Barre, Christian Delacroix, Laura Marie Duncan, Mike Evariste, Laura Griffith, Lisa Howard, MaryAnn Hu, Zachary James, Robert Lenzi, Garrett Long, Nick Mayo, George Merrick, William Michals, Kimber Monroe, Emily Morales, Darius Nichols, George Psomas, Andrew Samonsky and Jerold E. Solomon. Mr. Szot appears in SOUTH PACIFIC with the permission of Actors Equity Association. The production includes musical staging by Christopher Gattelli, sets by Michael Yeargan, costumes by Catherine Zuber, lighting by Donald Holder, sound by Scott Lehrer and a 30 piece orchestra conducted by musical director Ted Sperling performing the original 1949 orchestrations by Robert Russell Bennett and dance and incidental music arranged by Trude Rittmann. Tickets to SOUTH PACIFIC are available now at the Lincoln Center Theater box office (150 West 65 Street), at www.telecharge.com, or by visiting www.lct.org.